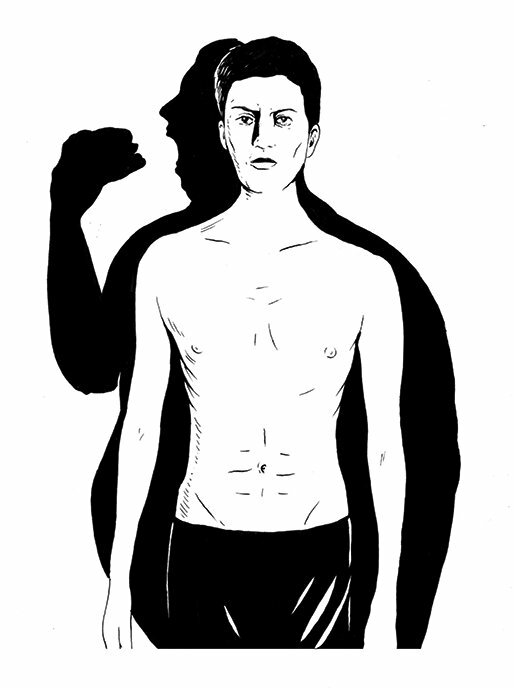 I grew up around serial dieters filled with rage, at themselves and their predicament. I can hardly remember a meal at which someone didn’t blow up about something, leaving the rest of us to tackle our brisket in silence. I flashed back to those depth-charged dinners when I read Lionel Shriver’s new novel, Big Brother, in which a man who has grown suddenly obese visits his younger sister. He shovels in the Cinnabons while her family watches with increasing disgust. Finally, her husband lets loose a zinger: “It’s not my fault that to snap a family photo I have to take three steps back to fit you in the frame." If you’re the reformer type, you’ve stopped blaming patients and started blaming society—the food industry, the chemicals industry, globalism. But what if even this enlightened analysis of the obesity epidemic distracts us from a more pressing question? What if Michelle Obama’s “Let’s Move!” campaign and Michael Bloomberg’s sugary-drink ban divert attention from the problem that most needs solving? The biggest mystery when it comes to obesity is not how to prevent it. It’s how to treat it. Don’t get me wrong. We need to know what expands our girth so that millions more don’t suffer the type 2 diabetes and heart disease that follow. 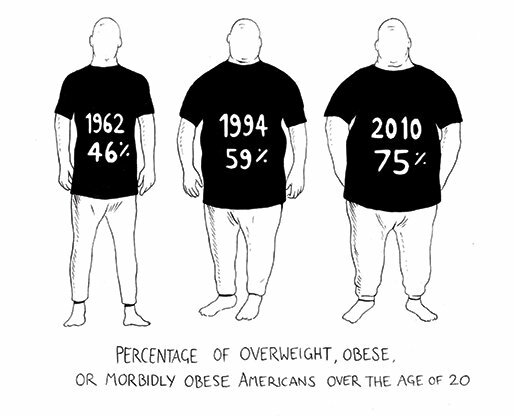 But millions are obese, right now, and the medical establishment doesn’t really know how to help them. I learned that to my dismay when I tried to find a program for a relative who seemed too young for stomach bands and gastric bypasses. The problem is simple and well known. It’s hard but not impossible to lose weight. But it’s nearly impossible to keep it off. An evolutionary theory exists (one always does) to explain why even heroic dieters swell back up. In the days when food was scarce, rapid weight loss signified starvation. To defend against that, our bodies still fix on a size and fight to keep it. So when we shed pounds, levels of an appetite-suppressing hormone called leptin drop. Levels of an appetite-enhancing hormone called ghrelin rise. The hypothalamus slows down our metabolism. Our muscles burn fewer calories, even when we’re sitting still. Another obesity pioneer, Jules Hirsch (a former collaborator of Leibel’s), once demonstrated how this works. He produced a spring and pulled it taut and thin. That, he said, is the body right after a diet. Then he let it go, and it sprang back into place. That was the body a little later on. The cravings that bedevil both the overweight and the recently overweight aren’t purely psychological. They’re also physiological. Desires we think we can control are produced by processes we have no power over. Some researchers call these longings an addiction, but others consider the term inaccurate, since we can live without crystal meth but not without food. Geneticists had hoped to find a gene or two that would help explain why some appetites are gargantuan but others aren’t and why large portions affect some but not others. After all, everyone knows some nudnik who swoops up all the bacon at the buffet and never adds a pound. But obesity-related mutations turn out to be rare, and the genetics of fat are extraordinarily complicated. Researchers are increasingly focusing on how the body arrives at its preferred weight and metabolic rate. Whatever you weighed as a child, prolonged periods of obesity can permanently bloat you in adulthood. But a penchant to build up fat can be created earlier—even in the womb. If your mother was obese when she carried you, you’re more likely to be obese when you grow up. If she starved while carrying you, you’re also more likely to become obese, because you’ll develop a sluggish metabolism to cope with the nutrition-poor world your body believes it’s being born into. According to the “mismatch” theory, some proportion of the obesity epidemic in developing nations (fast catching up with developed nations) can be chalked up to the migration of malnourished children from the countryside to cities, where cheap soda and fried foods overwhelm their systems. “As countries move through the economic transition, they also move through this nutritional transition,” write the authors of Fat, Fate, and Disease, which came out last year. When these children grow up, they have obese children. “I think we’re already seeing the second generation,” Leibel told me. How we eat and process our food depends on a confounding mix of heredity, custom, diet, sedentariness, and the poorly understood mechanisms that calibrate the body in response to these inputs. “I think there’s a lot of confusion in the medical, lay, and research communities,” says Leibel, about the body’s relationship to food. But if we don’t understand how obesity works, how can we treat it? 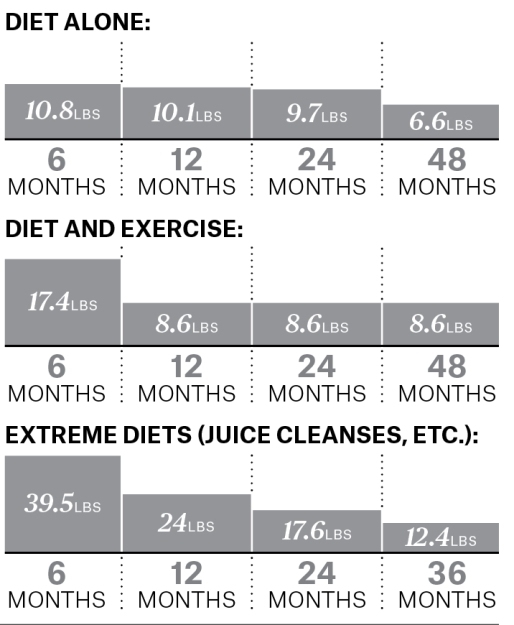 “Lifestyle interventions”—diet, exercise, therapy—are necessary but not sufficient. Bariatric surgery works pretty well, but not without exhaustive and continuing follow-up. What would help the most, according to obesity doctors, would be for patients, general practitioners, insurers, and even regulatory agencies to grasp that weight loss, on its own, does not cure obesity. “This is a chronic disease much like hypertension or diabetes,” says Arthur Frank, the senior physician at the National Center for Weight and Wellness. “The idea that the task is the task of losing weight is naïve and a waste of time.” As is true of those disorders, you can’t manage obesity without a lifelong regimen that includes behavior modification and probably drugs, maybe even drug cocktails. But weight maintenance is costly, and very few insurers cover limited weight-loss programs, let alone open-ended ones. I can’t help thinking that our suspicion of obesity drugs is more cultural than medical. Drugs lack the requisite punitive punch. They don’t change bad habits and may even encourage them. Pills bring to mind housewives popping speed and formulas peddled on the Internet. But this hostility to pharmaceutical solutions is discriminatory and shortsighted. Obesity kills, even if the causes listed on death certificates have tended to be the diseases occasioned by fat, rather than fat itself. It is largely because we think of this particular illness as a metaphor—for sloth, for flaccidity, for generally poor character—that we withhold the treatment we lavish on others. Judith Shulevitz is the science editor of The New Republic.